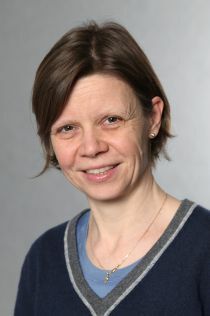 Andrea Weber is Professor of Labor Economics at the Vienna University of Economics and Business. She received her PhD from the Vienna University of Technology in 2002 and held positions at the University of Mannheim, the RWI in Essen, and the Institute for Advanced Studies (IHS) in Vienna. From 2006 to 2009 she was a visiting assistant professor at UC Berkeley. Andrea Weber is consultant at the Austrian Institute for Economic Research (Wifo), a CEPR Research Fellow and a Fellow at IZA, CESifo, and RWI Research Networks. Her research fields are labor economics and applied microeconometrics. She is particularly interested in the interaction of labor markets with social insurance systems, dynamics of unemployment, gender differences in the labor market, and mobility of workers in the European Union. She has published in several academic journals, including the American Economic Review, Econometrica, the Quraterly Journal of Economics, Journal of the European Economic Association, Economic Journal, AEJ: Economic Policy, among others. Andrea joined CReAM as an external research fellow in October 2016.